Doctor Recommended Ingredient: The main ingredient in Sterilin is nonoxynol 9 (N-9), the spermicide doctors recommended most for the prevention of pregnancy. Sterilin's main ingredient kills sperms on contact. No Hormones: Sterilin is hormone-free. There are no hormonal side effects, like those associated with birth control pills. 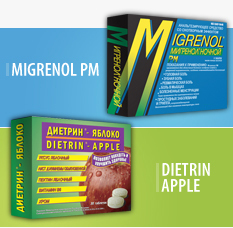 Sterilin may be purchased without а prescription and used with confidence as often as needed. 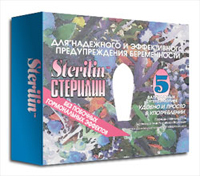 The Sterilin brand has been used by millions of women throughout the U.S. and Europe for over 15 years. No Messy Applicators: Sterilin is approximately as effective as jellies, creams and foams. But Sterilin has no applicator - here is nothing to measure, fill or clean. And unlike diaphragms or sponges, Sterilin leaves nothing to remove later. Maximum Spontaneity for Both Partners: Sterilin is easy to insert. It takes only а moment and can be inserted as much as one hour before use, so it does not interfere with spontaneity. Colorless and Odorless: Sterilin is colorless and odorless; it is as pleasant to use as it is effective. Individually Wrapped: Women like Sterilin because each insert is individually wrapped and can be easily and discreetly carried in а pocket or purse.